Ely is an old Fenland town with a magnificent cathedral. 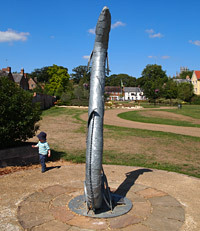 Its name is derived from the Saxon term "elig", meaning "'isle of eels". Eel fishing and wild fowling once provided the main livelihood of all fen workers in this area, when it stood isolated by water and marshland. 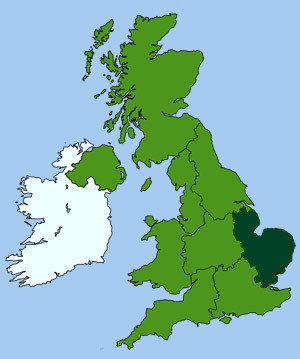 Due to the Fenland drainage of the 17th & 18th century, the area is now surrounded my rich agricultural farmland instead of watery marshes. The township is steeped in history, dating back to the time of Queen Etheldreda, who founded a monastery above the banks of the river in 673AD. It was here that Hereward the Wake held out against the invading Normans, until his capture in 1071. Oliver Cromwell also lived here for many years, before the Civil War. His house, now a visitor information centre, includes a small museum dedicated to this period of his life - a good place to start a sightseeing tour of the town. Since the draining of the Fens, the city has become a thriving market town with good road and rail links to the rest of Cambridgeshire. It is an important regional centre providing excellent retail and civic amenities, including museums, galleries, shops, bars, cafes, restaurants, parks and green open spaces. The shopping centre, has a good number of interesting independent shops. An open-air market takes place every Thursday and Saturday. The River Great Ouse flows to the East of the city, meandering through rich meadowlands. 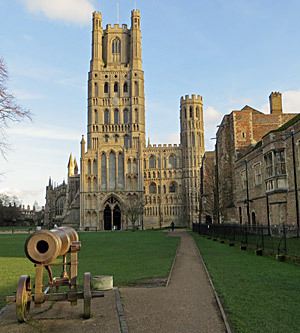 Ely's magnificent cathedral, dating from 1803, is one of the largest in all England. The main transepts are the oldest surviving portion and its long knave was built during the 13th-c in a Romanesce style. The central tower collapsed in 1322 and was rebuilt on a larger scale, in a unique octagonal shape, above which sits a wooden lantern tower. Its central boss being carved from a single piece of oak. There is a wealth of other historic buildings throughout the city. Several attractive Georgian houses can be found in St Mary's Street, and St John's Farmhouse (off St John's Road) is 16th-c with a 13th-c monastic barn. The local museum was originally a 17th-c gaol. Along with tours of the prison cells it displays exhibits from the Bronze Age to the present day. The city is renowned for its regional events and festivals, including the annual Ely Folk Festival, with traditional folk songs and dance, held in July. Explore the former home of Oliver Cromwell. Enjoy a concert or service in the magnificent Cathedral. Climb to the top of the Cathedral's Octagon Tower. 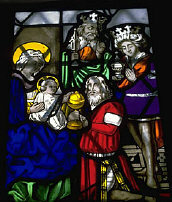 Discover the world of stained glass. Follow a historic town trail. Go on an evening Ghost Tour. Relax in a park or garden. Enjoy some locally brewed Ely Gin. Go for a river cruise on the Great Ouse. Spend a day shopping, with national stores and lots of specialist independent shops. Listen to a brass band at the bandstand (Sundays in July and August). The site of a former Norman castle can be found in Cherry Hill Park, near the cathedral. It was of motte and bailey style, constructed on the orders of William I, around 1070, during the conflict with Hereward the Wake. Nothing remains of the original castle structure. The area was archeologically investigated in 2002 and the findings of this dig are on display in the Ely Museum. One of England's finest cathedrals, its central Octagon Tower is its most distinctive feature. The result of a disaster, caused when the old tower came crashing down, leaving a gapping hole in the roof. As the existing foundations were too weak to support a direct replacement, the load was spread over a larger area creating the octagonal structure we see today. The abbey was regularly destroyed by the Danes over the centuries but has endured. The remains of many monastic buildings have also still survive today, including the monk's infirmary and hostelry. 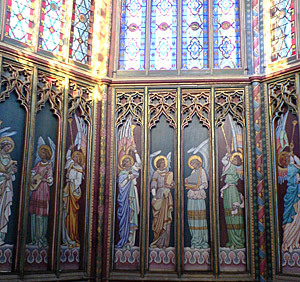 The image above shows carved panels from the octagon tower, depicting angelic beings. Regular guided tours are available. 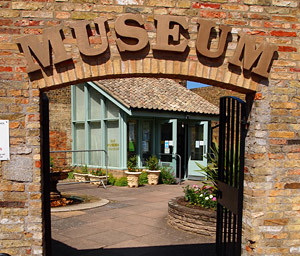 Situated in the city's former Gaol house, this friendly little museum covers the history of Ely from is time as a Fenland isle, and further back into pre-history. Discover fossils, prehistoric tools, roman artifacts, Anglo Saxon jewellery and Victorian memorabilia. Parts of the original prison can still be viewed, including the cells and exercise yard. Program of temporary exhibitions, events and children's activities. Created to commemorates the Queen's Golden Jubilee. The Jubilee Gardens is a pleasant, riverside park with firm pathways, traditional bandstand and a children's play area. A variety of live bands perform on Sunday afternoons in July and August. Towards the east of the city, Ely Country Park is also a great place to relax, enjoy and explore the local countryside. Several waymarked trails, called Kingfisher and Bulrush, take you through some of the typical Fenland landscape. Play area and picnic site. A number of heritage trails take you on a circular tour around some of the oldest parts of the city and down to the river. The tours are self guided, marked by brass way points. For further information visit the TIC website. A pleasant riverside venue. Originally a brewery, it has been refurbished to include a cinema, bar and relaxing riverside restaurant. The hall is also a venue for regular concerts, plays and craft and antique fairs. 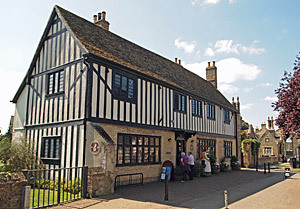 The half-timbered St Mary's Vicarage, also known as Cromwell House or the Steward's House is preserved not far from the Cathedral entrance. Visitors can experience 17th-c domestic life, via a series of recreated period rooms, following an audio tour that brings this interesting building and its history back to life. Oliver Cromwell has been much maligned by historians over the years, so take time to judge for yourself if you think this important figure from British history was a hero or a villain. There is also an exhibition covering the English Civil War. Follow an audio tour to discover the history of stained glass manufacture from the medieval period to present day. Located in the South Triforium of the Cathedral. This unusual museum houses a national collection of stained glass, the only one of its kind in the country.